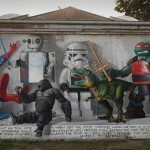 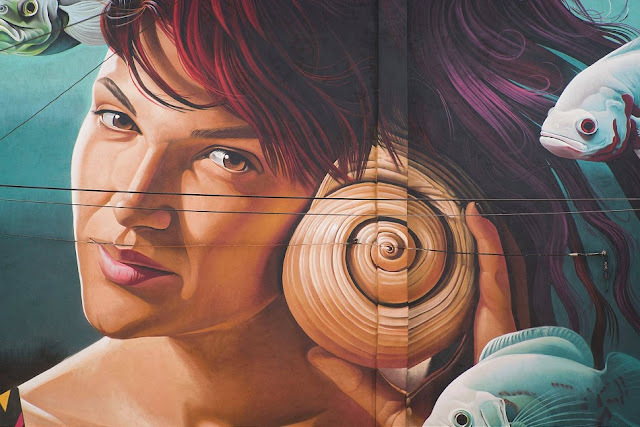 Participating in the local Boombarstick festival, Lonac recently wrapped up another fantastic photo realistic mural. 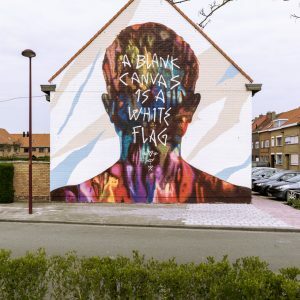 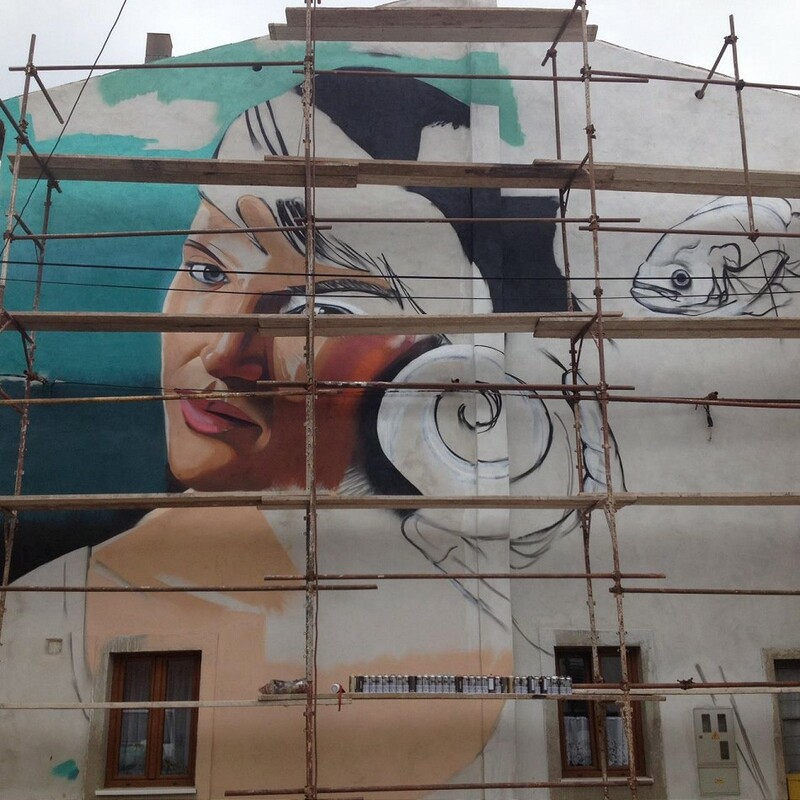 Working on it for almost two weeks in the scorching Mediterranean sun, the new piece is titled “White Noise”. 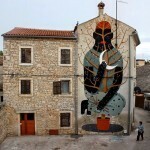 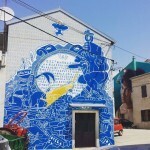 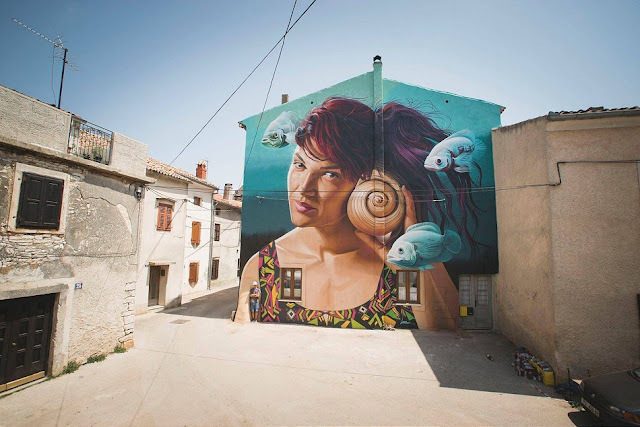 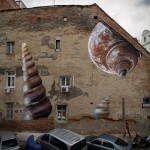 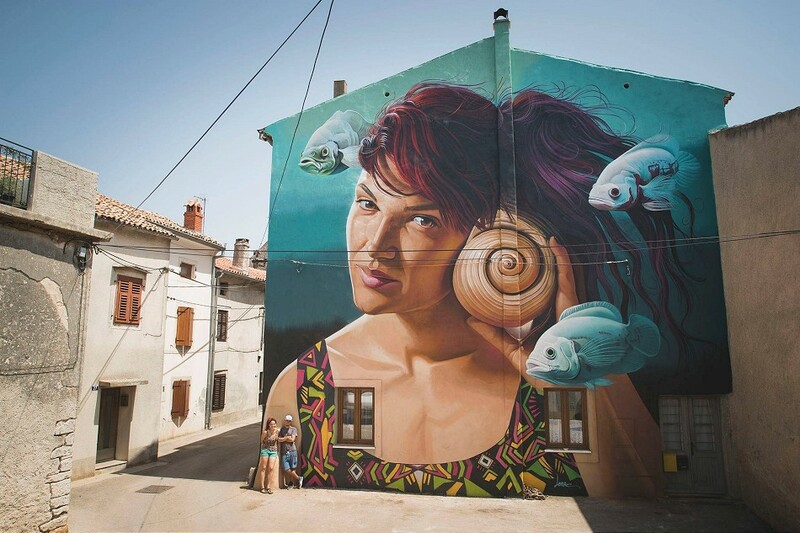 Zagreb-based artist spent last couple of weeks working on this beautiful mural in a quaint old town of Vodnjan. 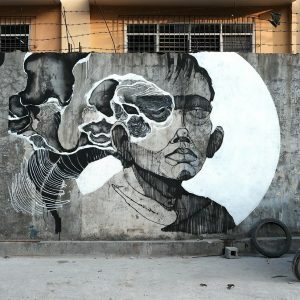 Avoiding the strong sun and warm weather, the artist had only few hours of daylight at the beginning and end of the day to work on this piece. 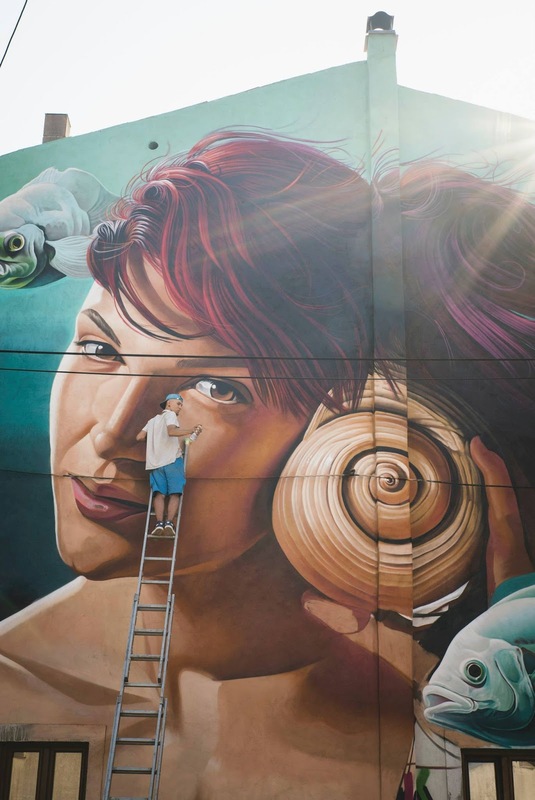 Patiently progressing on a large facade of a local family home, he just finished this mural showing a portrait of his friend listening to a sea shell with fishes swimming around her. 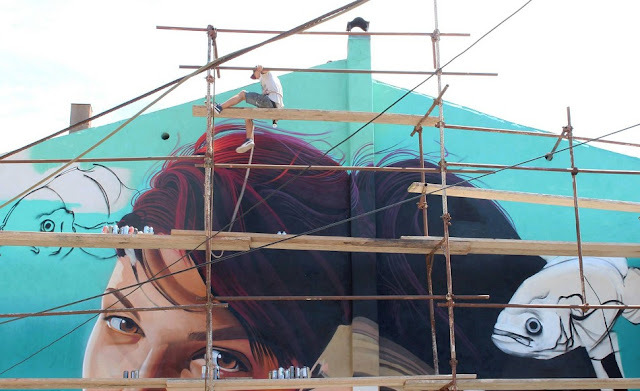 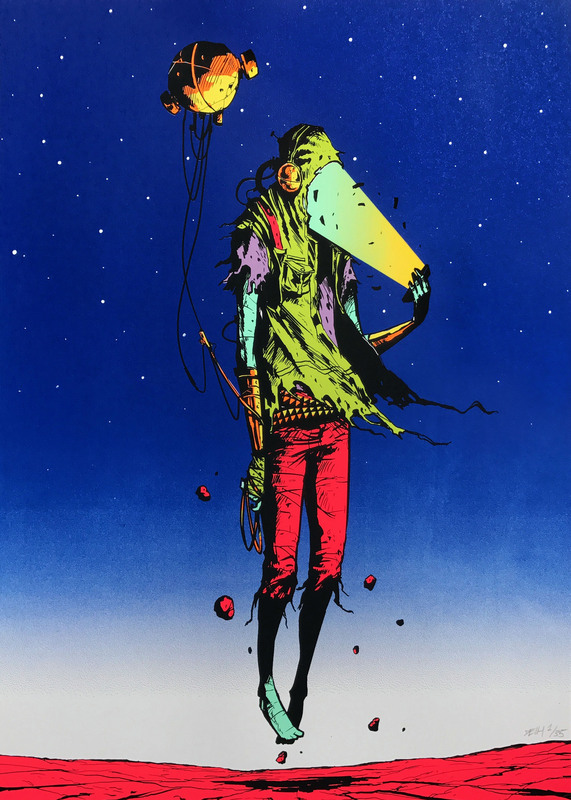 Though working on unprimmed, old building, Lonac managed to get the desired bright colors which allowed him to create a great sense of depth in this piece. Through use of colors and light he created an illusion that makes it hard to tell whether the action takes place in the sea or in the air. 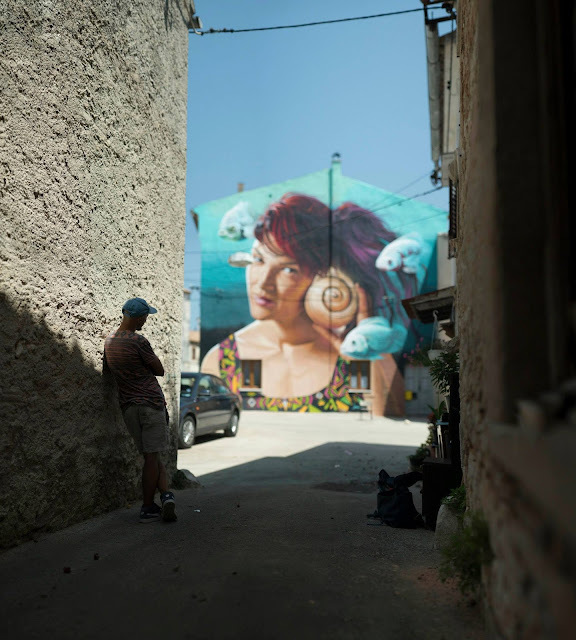 Check out more photos of this work after the jump (photos credit by SilkFatBlues), and check back soon for more interesting news from the region.